Our second outing was to Amberley Museum and Heritage Centre on 9 August 2017 with a second double-decker bus. 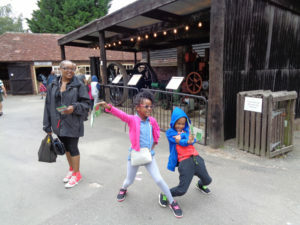 This open air museum is set in a 36 acre site located in a former lime quarry near Amberley. 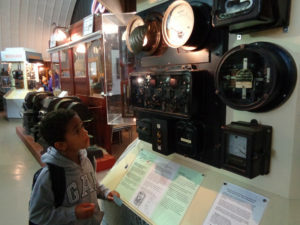 The museum is devoted to the industrial heritage in the South East England. 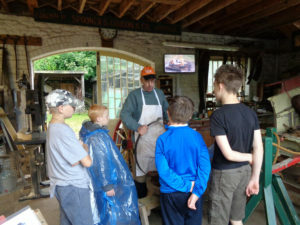 To know more about Amberley Museum and Heritage Centre please click here. 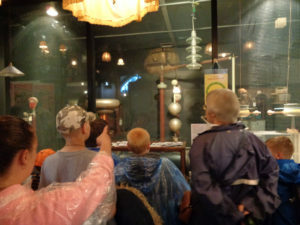 It was another wet day, but again there were plenty of things to do indoors in various buildings, which house various interactive exhibitions explaining different aspects of craft, industry and technology. 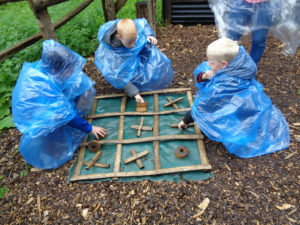 With a regular train and vintage bus service running around the 35 acre site it was also possible to visit the various buildings without getting too wet. 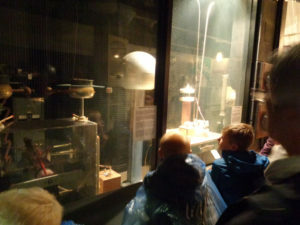 Our parents and children visited two large halls which contained numerous interactive exhibits, one demonstrating the development of telecommunications and the other the history of electricity. 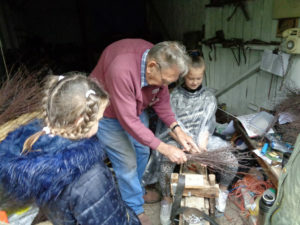 They also explored a large open area devoted to traditional industrial and agricultural craft, where children could play traditional games using wood sticks, or were taught by volunteers how to make brooms or cartwheels and were given personalised ‘certificates’ of attendance. The museum has also numerous smaller buildings which display the history of transport, road paving, printing, and the development of radio and television sets. 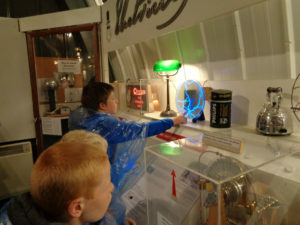 While our young guests could look at old phoned or record players that they had never seen in their lives, their parents could find among the exhibits their old tape recorder, the TV set which they had used when they were children or their grandma’s washing machine! All families also enjoyed going on and off the vintage bus and talking to the bus controller, and many of them had a ride on the train along the route once used by miners when the place was a quarry. 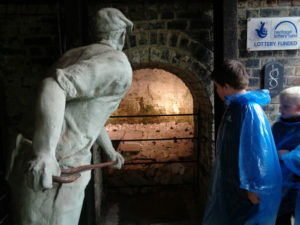 Using either the train or the bus, the visitors could reach an old kiln where chalk dug from the quarry was burned to produce lime, visit an exhibition which explained the history of the quarry and how lime was made, and look at the kiln and its ovens. As always, as part of the outing we served a meal to the families. At the end of the day we also offered to all our guests ice creams, which were a treat after having faced a very wet day. We then returned to Brighton.